Step Up to Writing Review. 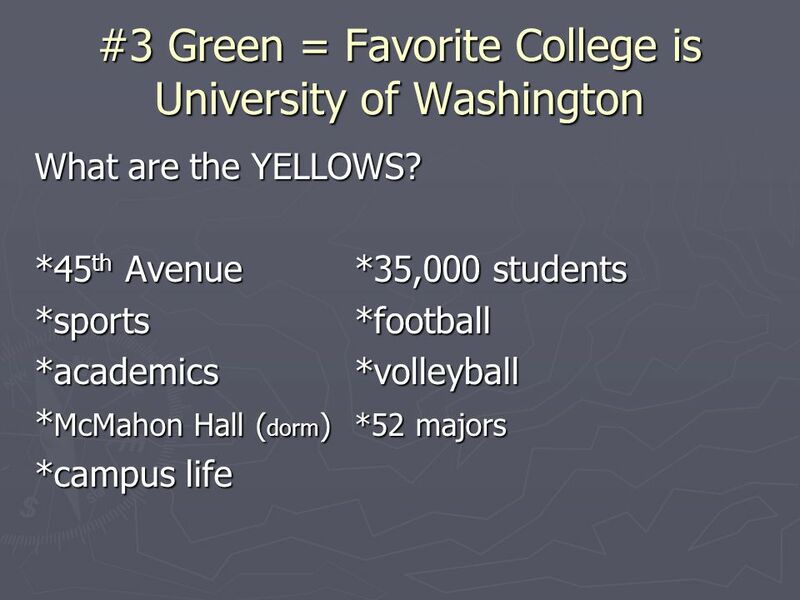 #1 Green = Favorite Vacation is Hawaii List all the yellows: (3 of them) *beaches *snorkeling *dad *sunbathing *activities. 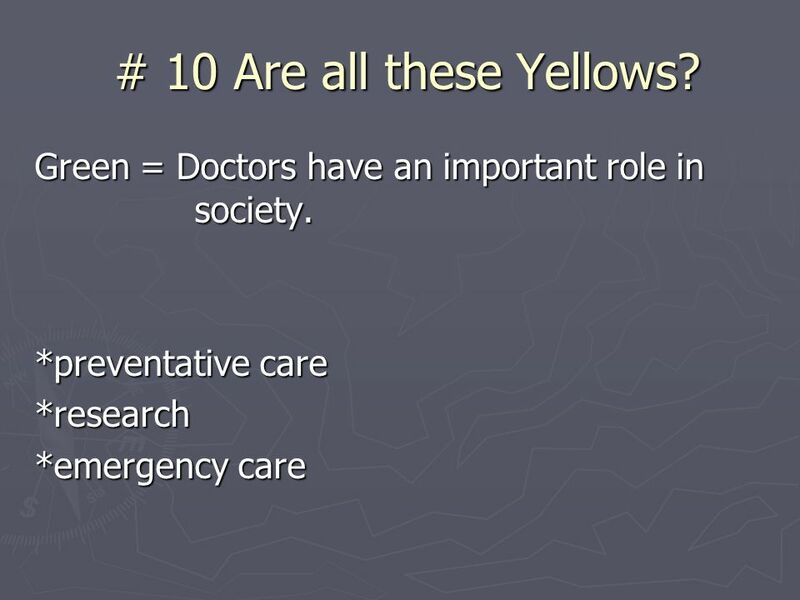 5 #4 What are the YELLOWS? My seventh birthday party was the best ever. The activities were awesome. We went skating and played video games. Also, the food was terrific. Of course, we had dinner, cake, and goodie bags. Finally, the guests I invited were the best. My friends from Jefferson Middle school were there. In addition, I invited many of my friends from church. Finally, most of my family attended as well. 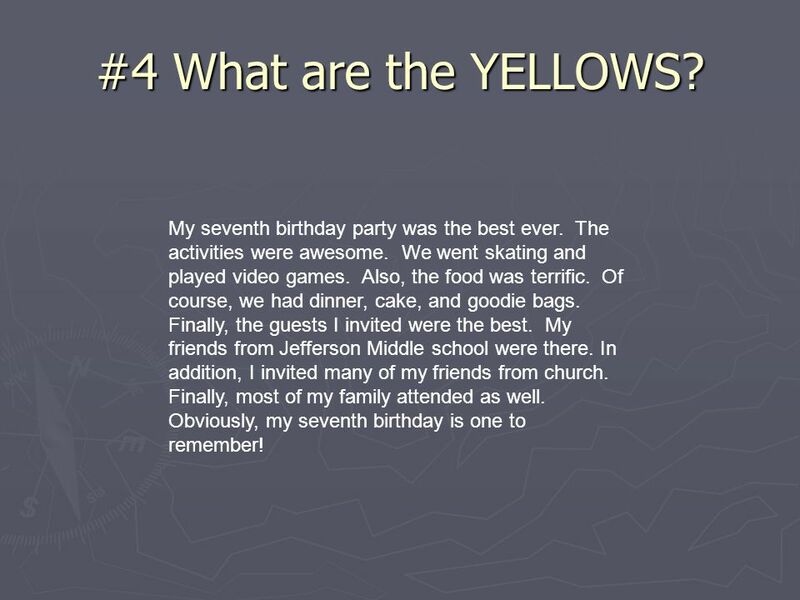 Obviously, my seventh birthday is one to remember! 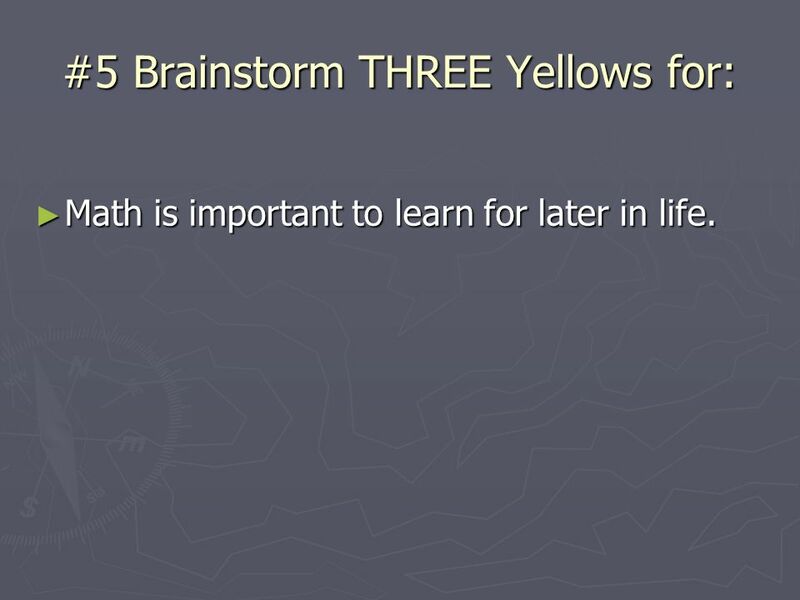 6 #5 Brainstorm THREE Yellows for: Math is important to learn for later in life. Math is important to learn for later in life. 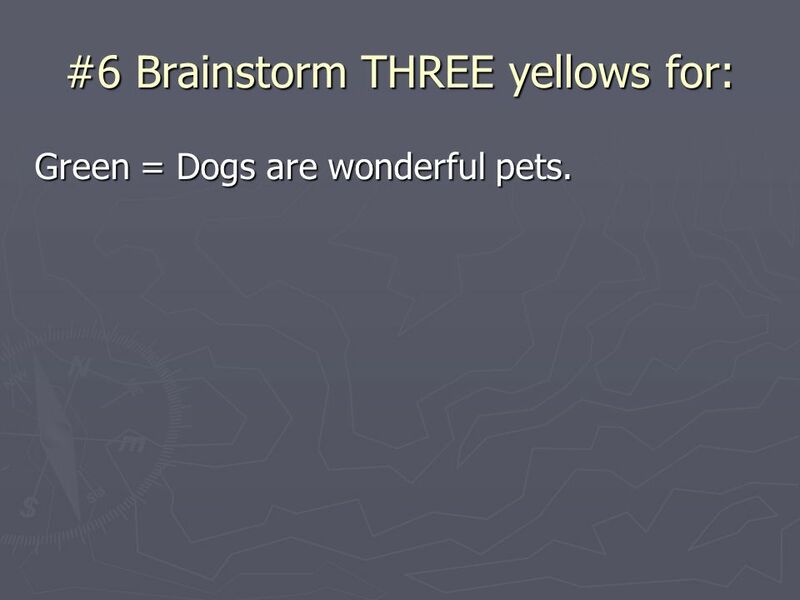 7 #6 Brainstorm THREE yellows for: Green = Dogs are wonderful pets. 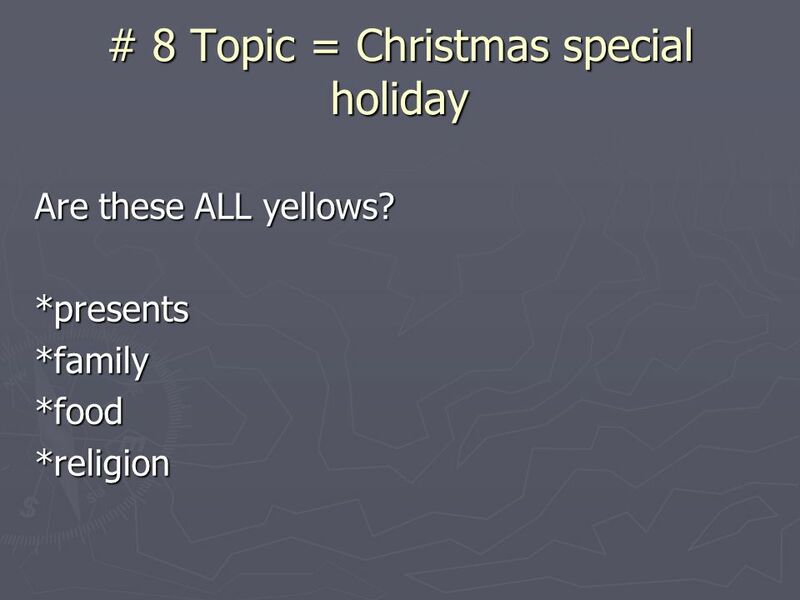 8 #7 What are the REDS for the yellow = ACTIVITIES? My seventh birthday party was the best ever. The activities were awesome. We went skating and played video games. Also, the food was terrific. Of course, we had dinner, cake, and goodie bags. Finally, the guests I invited were the best. My friends from Jefferson Middle school were there. In addition, I invited many of my friends from church. Finally, most of my family attended as well. 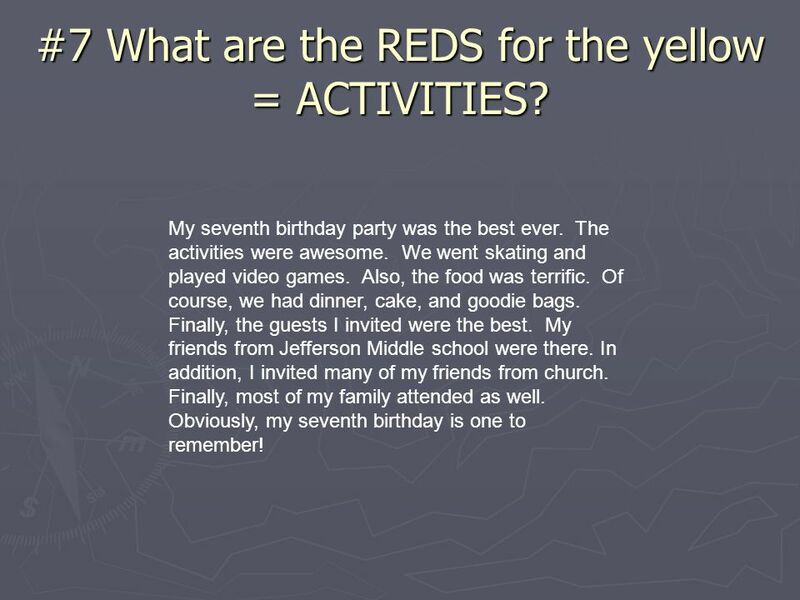 Obviously, my seventh birthday is one to remember! 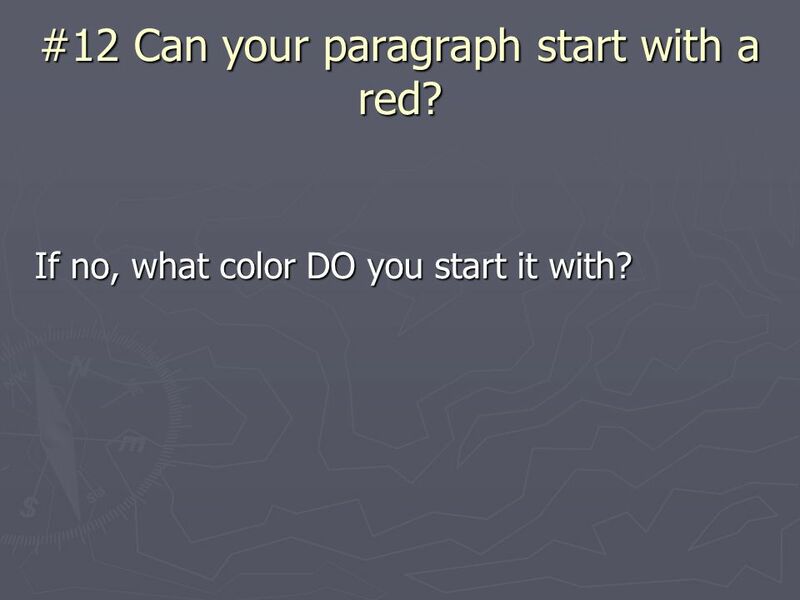 13 #12 Can your paragraph start with a red? If no, what color DO you start it with? 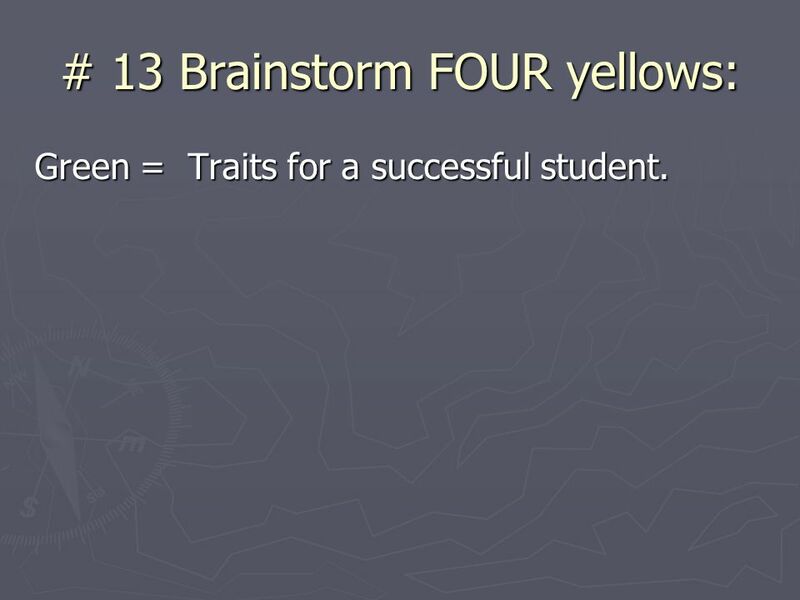 14 # 13 Brainstorm FOUR yellows: Green = Traits for a successful student. 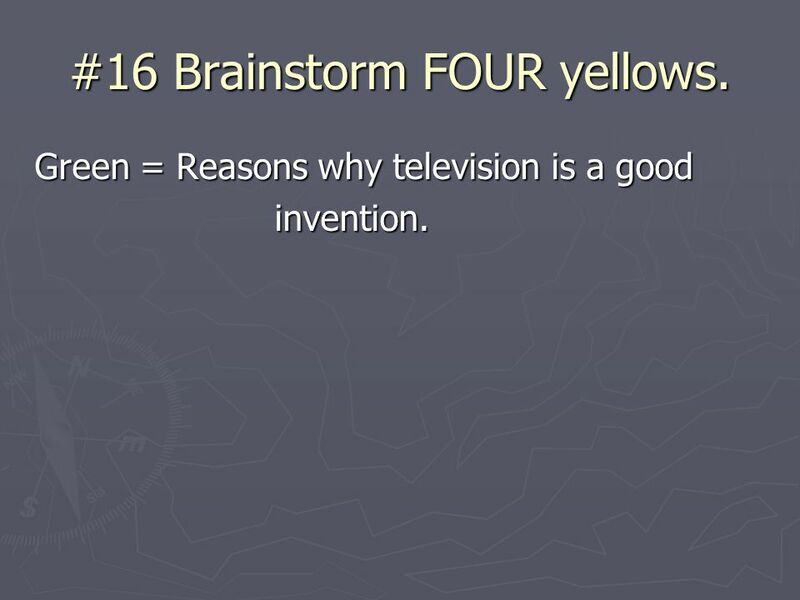 16 #15 Brainstorm FOUR yellows. Green = Fourth of July great holiday. 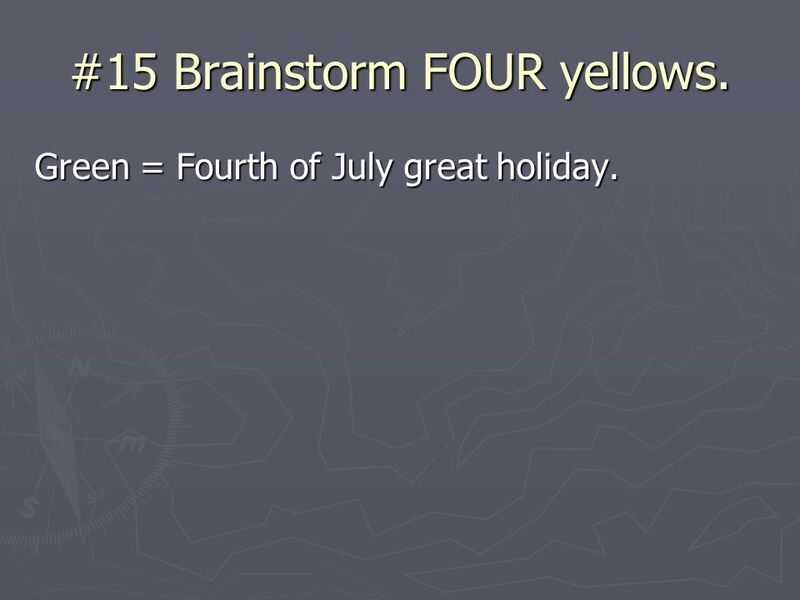 17 #16 Brainstorm FOUR yellows. 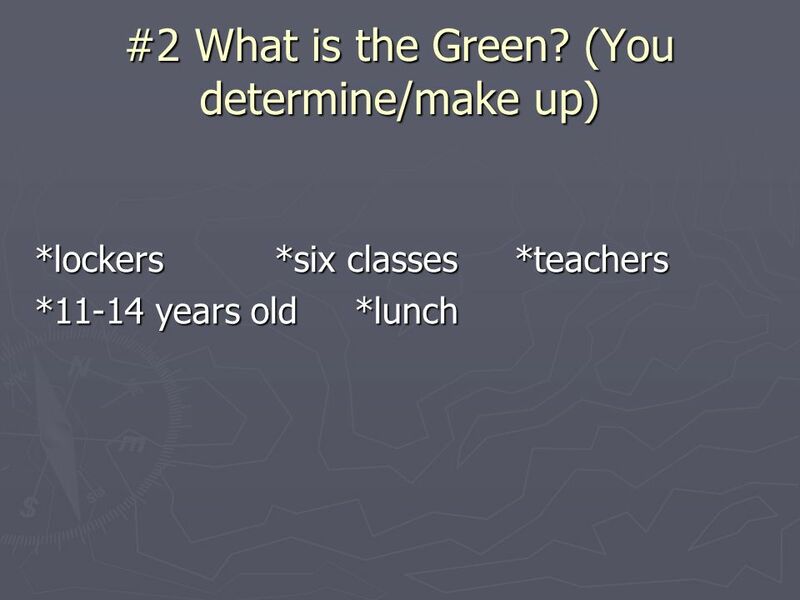 Green = Reasons why television is a good invention. 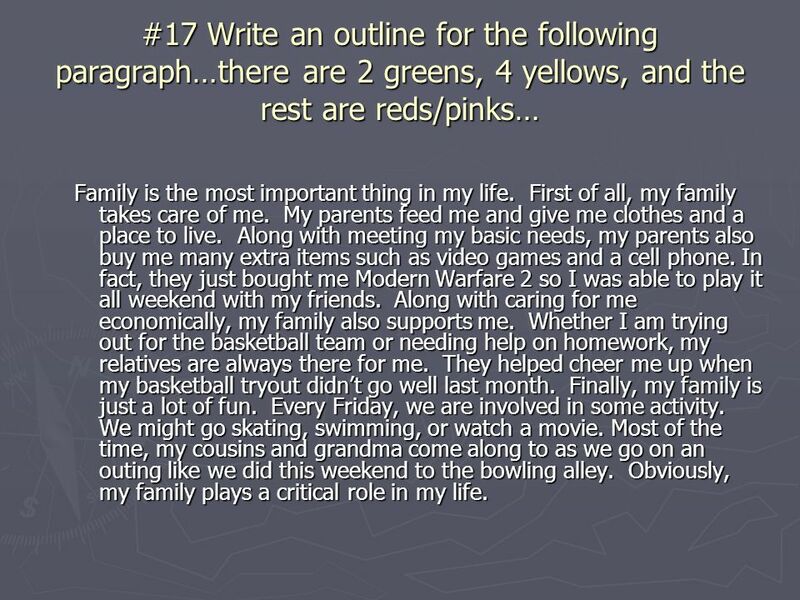 18 #17 Write an outline for the following paragraph…there are 2 greens, 4 yellows, and the rest are reds/pinks… Family is the most important thing in my life. First of all, my family takes care of me. My parents feed me and give me clothes and a place to live. Along with meeting my basic needs, my parents also buy me many extra items such as video games and a cell phone. In fact, they just bought me Modern Warfare 2 so I was able to play it all weekend with my friends. Along with caring for me economically, my family also supports me. Whether I am trying out for the basketball team or needing help on homework, my relatives are always there for me. They helped cheer me up when my basketball tryout didnt go well last month. Finally, my family is just a lot of fun. Every Friday, we are involved in some activity. We might go skating, swimming, or watch a movie. Most of the time, my cousins and grandma come along to as we go on an outing like we did this weekend to the bowling alley. Obviously, my family plays a critical role in my life. 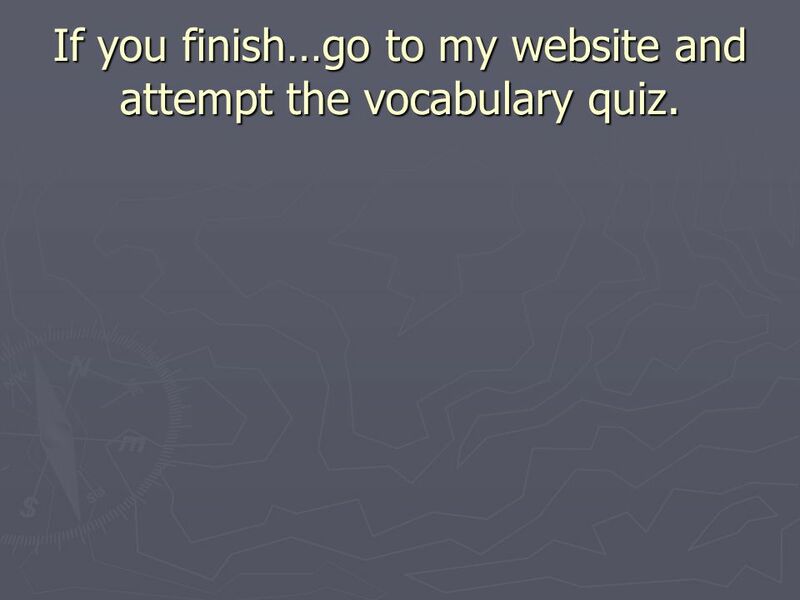 19 If you finish…go to my website and attempt the vocabulary quiz. 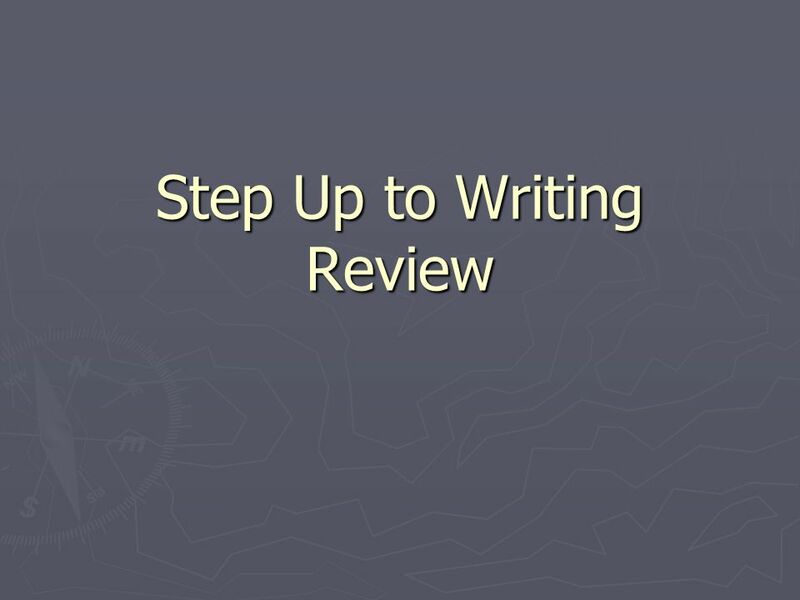 Download ppt "Step Up to Writing Review. 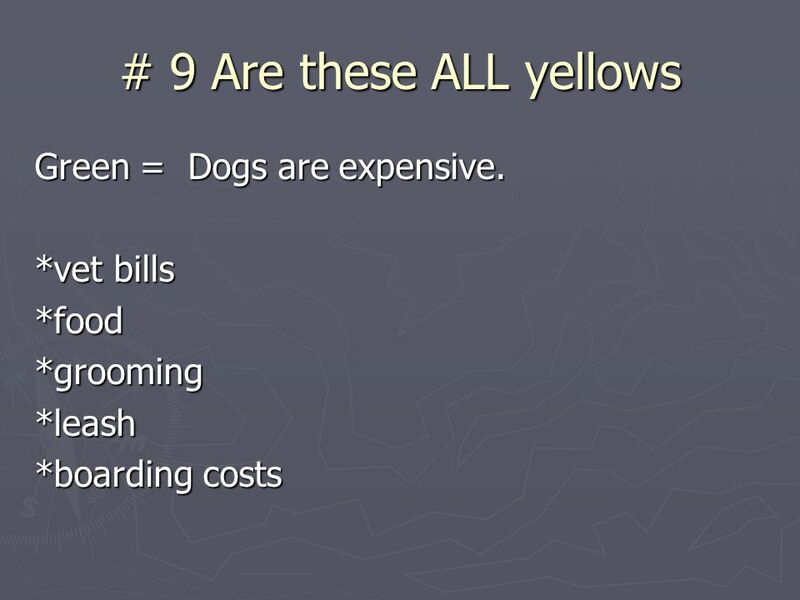 #1 Green = Favorite Vacation is Hawaii List all the yellows: (3 of them) *beaches *snorkeling *dad *sunbathing *activities." 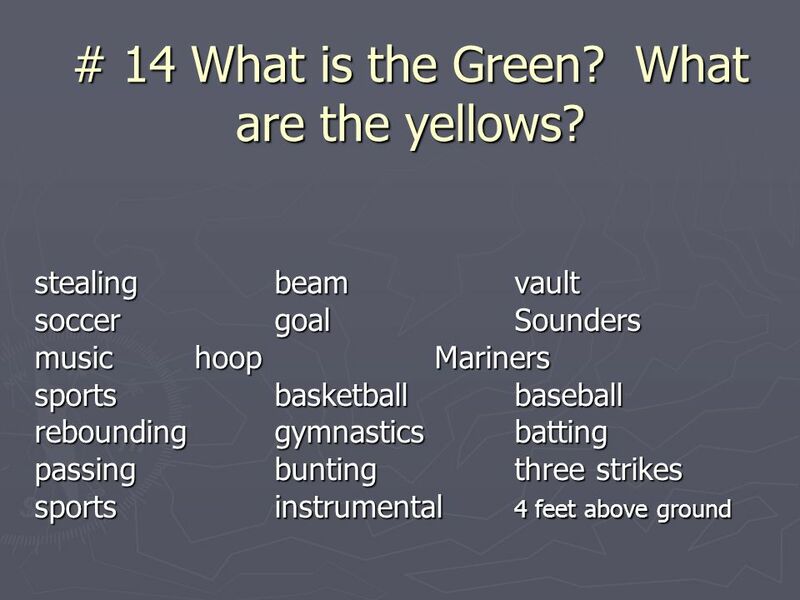 Step Up to Writing Review Version C. #1 Green = Favorite Vacation is Hawaii List all the yellows: (3 of them) *beaches *snorkeling *dad *sunbathing *activities. My name is Alexis. I go to Greendale Elementary School and I am in the fourth grade. I live in Abingdon, Virginia. My teachers name is Mrs. Belcher. I.
Shiloh Point I graduated from Piedmont College in I also have a Masters in Reading and Literacy from Walden University. This is my seventh. Period Four (SectionB1a-2c) every day yesterday Jack sees a film every day. She buys lunch in the cafeteria every day. I eat vegetables every day. Jack. In this power point were going to tell you all about our lives in Selkirk, Manitoba Canada. From school to weekends to home lives and finally about our. 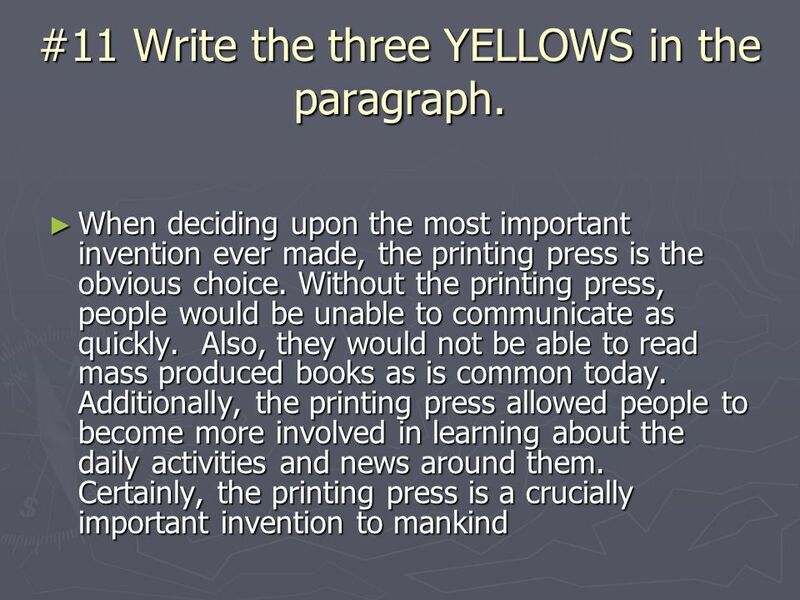 Topic = Television Best Invention Since 1941, Americans have spent countless hours watching television. While video games and the Internet are fun, television. Some of my favorite things By: Calvin Miller. My dog  One of my favorite things is my dog Ricco he is part Pomeranian and part Chihuahua.  I’ve had. By: Kathryn Nash My Family  I have seven people in my family including me.  These are my family members: my mom, dad, my brother, my two sisters, my. Thanking my Family Roland School Students Send a Tribute to their Families. A day in the life of Patrick Roughton By: Patrick Roughton 9/16/06.